Our dental team is well trained to deliver personalized dental care in a comfortable, clean and friendly environment. We provide comprehensive treatment for the entire family – no matter what age! Our goal is for our patients to experience the highest quality of dentistry in a timely manner. Dr. Parmar was born and raised in Edmonton, Alberta where he received his Bachelor of Science in 2003 from the University of Alberta. In 2007, he relocated to Saskatoon and completed his Doctor of Dental Medicine degree with distinction from the University of Saskatchewan. After completion of his degree, Dr. Parmar began practicing as an associate dentist in the south side of Edmonton. 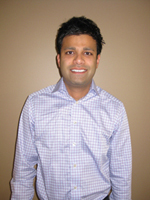 In 2011, Dr. Parmar took over Dr. Paul Cahoon’s dental practice in the City of Fort Saskatchewan, Alberta. This is an exciting time for Dr. Parmar and he is looking forward to meeting more residents and patients in this great city just north of Edmonton! Dr. Parmar is actively involved in local, provincial and national dental associations. He continues to attend conferences and seminars to stay current with the changing world of dentistry to provide the most current dental treatments to all his patients. Outside of the practice of dentistry, Dr. Parmar enjoys golfing and spending time with his family and friends. Jen has been a Registered Dental Assistant II since 2007. Since then she has furthered her education and successfully completed a certificate in the Preventive Dentistry Module (scaling) and the orthodontic module. Jennifer also has had the great opportunity of working with specialists such as oral surgeons. Jen loves being a dental assistant because it is such a diverse field and believes that everyday there is something new and exciting. It is a field that continuously pushes her to learn more. Jen looks forward to getting to know the Square One Dental patients and making them feel more comfortable at the dental office. 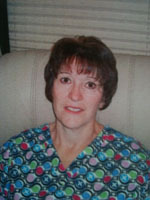 Hi my name is Debby and I moved to Fort Saskatchewan nearly two years ago with my husband of thirty years. We moved here to be closer to our grand children. When we are not spending time with them we enjoy golfing, tennis and biking on the picturesque trails in the Fort. I have been a Registered Dental Assistant for over 20 years and now I am concentrating mostly on my front office skills. I bring wisdom and experience to the office and am proud to be a part of our team at Square One Dental.